One of the best poker tournaments in the world i.e. 2016 PCA $100,000 Super High Roller kicked off on Wednesday at Atlantis Resort, in Bahamas. This is one of the most popular tournaments hosted by Pokerstars. The total number of entries to the tournament was 43 to which 32 players survived for Day 2. 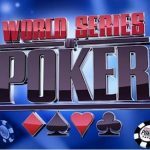 Some of the world’s best poker players such as Joe McKeehen (Champ 2015 WSOP main Event) David Peters, Nick Petrangelo and Talal Shakerchi (EPT London High Roller winner) are participating in the tournament. Talal Shakerchi leads the Day 1 of the tournament with having 805,000 chip counts. 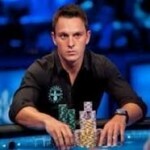 He is the winner of 2013 EPT London High Roller. Nick Petrangelo and Kathy Lehne come second and third with having 800,000 and 783,000 chips to their names. 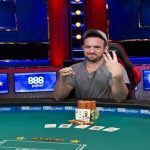 Whereas David Peters, Joe McKeehen and Christoph Vogelsang got placed at fourth,fifth and sixth position with having access to 772,000,732,000 and 708,000 chip counts. Other popular players like Antonio Esfandiari,Justin Bonomo, Ole Schemion,JC Alvarado, Thomas Muehloecker, and Isaac Baron played on Day 1 but unfortunately got eliminated and did not returned to the game. 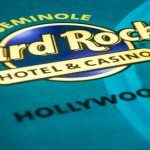 The $100,000 High roller tournament is an event of nine day long PCA 2016 poker festival, which features 104 events including the main event of $50k One-Day High Roller Single Reentry. The Day 2 of the event is going to be big, as some other players like Eugene Katchalov,Viktor Blom ,Scott Seiver and Fabian Quoss are participating. 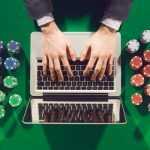 It is very important for an online poker player to get the best of the welcome bonuses, when they taking steps ahead to create their sign up account. 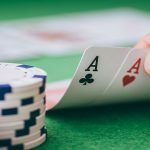 For you as a player realpoker.co.uk can be the best place to find out all the top industry bonuses as well as latest information and poker reviews.